Mark Levin the author and radio host was reading the stories of some of the deaths of the GI's in Iraq. What strikes me how heroic many of these stories are: where the men who died accepted a heroic amount of risk to themselves to aid other soldiers and Iraqi civilians. Many of these stories are literally a solider laying down his life for another. And to match this, the enemy is especially cowardly -- many of the wounds and deaths are from timed or remotely triggered bombs. What's clear is that in Iraq, a car is not merely a car, it's possibly death on wheels. Blogger had problems all day long and I lost a really good item I was working on. When the historic St. Francis de Sales Cathedral at 22nd Street and San Pablo Avenue was knocked down by a wrecking ball 12 years ago, those who mourned the loss were comforted by knowing two other buildings on the property were spared. But now the remaining buildings could also be brought down, ending a program that serves the poor in the neighborhood. The church was damaged by the 1989 Loma Prieta earthquake. After a prolonged protest and futile attempts to negotiate a retrofit of the building or a sale, the church came down in a pile of dust. OK, a damaged building that could not be repaired. Where's the angle with the poor? Here's the twist. Funds from the sale will be earmarked for the new Cathedral of Christ the Light that's planned for the Lake Merritt shoreline at Grand and Harrison avenues. The estimated cost is $130 million, of which $40 million to $50 million has been raised, sources said. But that's different than what the bishop said when the new cathedral was launched two years ago. Then the official diocesan statement was it would be "entirely funded" by private donations, not diocese funds. Whoever made that statement must have been content never to see the cathedral built. There was a Catholic elementary school at that location which became St. Mary's Center which serves 1,500 homeless, home-bound seniors and poor preschool kids. It seems clear that it was a lease and not a sale, because the Center now wants the title given to them. The Center is an independent not-for-profit corporation with no Catholic or Christian identity apparent on its web site. a diocese that out-sourced its concern for the poor in this neighborhood which was once the seat of the bishop and wants a great new cathedral on the Lake Merritt shoreline. Buy hey -- I'm in New York thousands of miles away, but that's my take on the news. In the communist era, Poland's secret police had a special unit that spied on the Roman Catholic Church. And in the 1960s, operatives in Cracow took a special interest in Karol Wojtyla, now Pope John Paul II. As NEWSWEEK's Polish edition has learned, the secret police were helped in their efforts by one of Wojtyla's fellow clerics, Wladyslaw Kulczycki—an informer who, until his death in 1968, sent in regular reports on the rising star of the Polish church. This short item on MSNBC doesn't mention how real the threat to priests were in Poland from the Polish secret police. The film To Kill A Priest is a fictional story loosely based on the life and death of Fr. Jerzy Popieluszko. It shows what might have happened to Fr. Karol Wojtyla. Now if you see To Kill A Priest, imagine how different the world would have been if the target was the Pope back in the 1960's. Of course, we cannot forget that the Soviet Union's secret police also attempted to kill the Pope on May 13, 1981. The remark that Fr. Groeschel makes regarding original sin gets a laugh in proporation to the distance that one is from New York City. He says that he doesn't have to prove that original sin exists, just go with him to New York where you can see it with your own eyes. If you think that 'sanctifying the faithful' is getting harder, look at how much harder it is to 'renew the temporal order' as we lay people are called to do. I never want to see Google News return a hit on "baby torture" but this is in the news today. A deeply religious Brooklyn baby sitter was charged with murder yesterday after she beat and stabbed a bound-and-gagged 19-month-old boy during an hours-long torture session that ended in his suffocation, police said. Tammie Williams, 40, allegedly flipped out after little Jaylen Robinson began crying, kicking and screaming as she cared for him at her Lincoln Avenue apartment in East New York early Sunday. Jeff Koyen, editor of the alt-weekly New York Press, quit today after refusing to accept a two-week suspension in the aftermath of the paper?s controversial “52 Funniest Things About the Upcoming Death of the Pope” cover story, Koyen said. This is a Drudge item. Koyen apparently learned nothing from what happened when Sinead O'Connor tore up a photograph of the Pope saying "fight the real enemy". Jeff Koyen is 35 so don't excuse this as a youthful exuberance. Now it will be interesting to see if Bill Donohue of the Catholic League gloats on this outcome. As Shakespeare might have put it, "Get thee to the Hamptons." The Sisters of the Order of St. Dominic are selling their nearly 15-acre estate in Water Mill, which includes an imposing 1887 Beaux Arts-style mansion of 21,000 square feet with 23 bedrooms, 13 bathrooms, a ballroom, eight fireplaces and an institutional-size kitchen. Not to mention a chapel. The estate, known as the Siena Spirituality Center at Villa Maria, also includes a pool, 1,200 feet of waterfront on Mecox Bay and Mill Creek, and three guest cottages. The minimum asking price is a divine $25 million. "They're already receiving offers," said real-estate broker James McLauchlen, president of James R. McLauchlen Inc.
"A lot of the original detail is intact," said McLauchlen, who has submitted an offer on behalf of a client he did not identify. "The house has been updated but has not been modernized to the point where it's lost its character." The property is zoned for 2-acre lots — and that could be its main appeal. But "the number of buildable lots could get cut by more than half by wetlands setbacks and 50-percent open space rules," cautioned Sotheby's broker Tara Newman, who hopes the buyer will keep the property intact. Last year, Maycroft, a 120-year-old waterfront estate on 43.5 acres in nearby North Haven once used by an Anglican order of nuns, was sold for $20 million to a family that plans to use it as a second home. Villa Maria was built as a summer home in the late 1800s by oil magnates Josiah Lombard and Marshall Ayres. The estate was bought by a private owner in 1909 and was renovated into its present Beaux Arts style. In 1921, actress Irene Coleman sold the property to the Sisters for a reported $250,000. The sisters used it for a high school for girls planning to enter a religious life. The order closed the school in 1953 and transformed it into an infirmary and retirement home for senior sisters. By 1990, the Siena Spirituality Center was created as a site for retreats, sabbaticals, workshops, healing and prayer. Their website is still online. Funny, but I've never seen pictures of this particular property when I have been solicited for constributions by the Dominicans of Amityville. I did the math: $25MM split 670 ways is $37,313. Moments after firing a bullet into his pregnant girlfriend's head early yesterday, the jealous gunman calmly boasted to the teen's mother, "Call 911, I just killed your daughter," the victim's relatives and cops said. In television reports, this isn't the first time Jose Tavarez killed an unborn child. He performed gave his own "pro-choice" procedure killing the unborn child in Liliana Fernandez a few months ago. It's not clear that he was angered over her pregnancy or, according to other family members, jealous of her popularity. 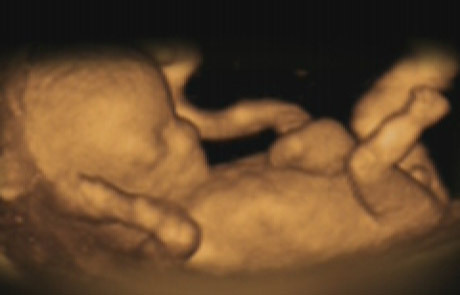 New York, unlike other states, does not prosecute the murder of a mother and her unborn child as a double murder. Cops said it was a drug-related robbery gone bad. An appeal of the threatened blanket excommunication of scores of Lincoln Catholics has been rejected by the Vatican, the Lincoln Diocese confirmed Friday. But some cannon law experts questioned whether such a blanket action was valid. It is valid by the definition of the authority which makes it valid. This isn't like looking at a videotape replay to objectively determine if the ball went out of bounds. If I read the article correctly, the only basis for appeal would be if the individuals were, in fact, not members of the named organizations. The listing of those organizations for which membership would result in excommunuication was not appealable. I like it even if it took 9 years. A big thing missing from the article is how Kevin O'Hanlon came to be aware that the appeal was denied. So, Kevin, if you are reading this, please let me know -- even to confirm that it was revealed by an anonymous source to you. Christian Post discusses the Glory of Easter to be performed at the Crystal Cathedral. It's been a mystery through the years what denomination the Schullers are. So is there a live Passion Play, either Protestant, Orthodox, or Catholic in the New York Area? The next performance of the Oberammergau Passion Play is in 2010. How I evaluate the news. One of the things that I look for is a plausible reason why something has happenned or why something has been revealed. Cui bono? Who benefits? What agenda is being served. The idea of concealment is important. People behave entirely differently when they have little reason to be contradicted or their naysayers to be believed. That's why phyisical evidence, concealed microphones, and wiretaps work so well: they reveal a truth that sometimes don't want to be revealed. Was Giuliana targeted by American troops? AGI the Italian news agency has a mixed bag ranging from the presumption that it was deliberately targeted to let's wait for an investigation. I hope there's an investigation as to why Italians are apparently being singled out. My presumption is that they reliably pay a ransom for hostages. The U.S. military has said the car Sgrena was riding in was speeding and Americans used hand and arm signals, flashing white lights and warning shots to get it to stop at the roadblock. American troops fired into a car travelling at 5 mph slowing down to approach a military checkpoint? That's not plausible. It's possible in the same sense that rather than terrorists, she was held captive by aliens from UFOs disguised as terrorists. The investigation ought to look into why Nicola Calipari didn't contact the American authorities to provide some warning to the local forces (American or Iraqi) so that the horrific accident could have been avoided? Did Calipari see a risk to himself or to Giuliana by disclosing their transport to the airport? Michele Malkin is all over this story. Update: The Jawa Report has lots of analysis on this. National Geographic presents "In the Womb" tonight on cable. The preview for this is awesome. I hope and pray that over time more and more information on the developing child will get into the social consciousness that there will be a softening of hearts towards this silent slaughter of the unborn children. Another example of 20th century anti-Catholicism.